Summer Hair Care Tips – Are You Following These? 1. It is essential to keep the hair hydrated during those scorching days of summer and intake of 8-10 glasses of fluid is must for this. Hence, drink water as much as you can. 2. Indulge in leave-in conditioner as your hair needs the maximum moisture during summer. Apart from this, it can also help you tame your frizzy locks and give your curls proper definition. 3. Say ‘no’ to your blow-dryers. The extreme heat of summer itself causes lots of harm to your hair and blow-drying can turn the situation into worse. Hence, make it a habit to air-dry your locks. 4. Choosing gentle hair accessories is a must for summertime. As we said, the heat and UV rays of the sunlight are enough to damage your beautiful locks. Why to aggravate it by using curling iron, straightening iron, metal clips, etc.? 5. While going for swimming in summer, make sure that you wash your hair and braid it up beforehand. Using a swim cap can also provide proper protection to your locks from getting spoiled by the chemicals and salt present in the pool water. 6. Always wear a scarf while going outside. You can even replace it with a stylish hat or cap. This would keep the damaging heat and light of the sun away from you tresses. 7. Well, it has been found that hair grows much faster in summer than rest of the year. So, if you really want to take good care of it during those days, go for trimming every 2 months. Or else, the heat will leave you with ugly split ends. Choose a moisturizing shampoo and a high-quality conditioner for everyday use. While applying mousse on dry hair, always go to the ends from the roots. Instead of sticky hairspray, opt for a hair smoothing serum. A light hairspray is also a good choice. Comb your hair with a large round brush in order to avoid frizz and tangles. Sweat can make your hair limper in summer. Volumizing shampoos can be a great solution for you. A Volumizing spray should always be used after towel drying fine and thin hair. Never ever use a hair care product that contains alcohol. 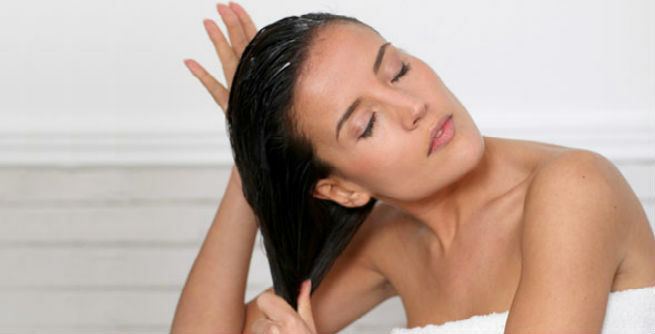 Choose shampoos and conditioners that do not have sulphate as one of the ingredients. It is better to use a hydrating styling cream rather than a hair styling spray in case of coarse and curly hair. So, are you really following these?